conclusion of the re-run governorship election in Ekiti State. 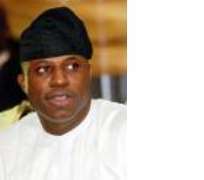 Bankole made the call yesterday at the Murtala Muhammed Airport, he addressed newsmen. He asked that people should pray for peace and the conclusion of the election so as to enable that nation move forward. and the entire world a few weeks ago is what is happening now," he said. It will be recalled that a re-run governorship election was held in 10 local government areas of Ekiti State on April 25, following an order by the Court of Appeal. The election was, however, inconclusive, as there was no polling in some wards of Oye Local Government Area due to insecurity. Mrs Ayoka Adebayo, the state's Resident Electoral Commissioner, who disappeared after her alleged resignation, later resurfaced, pledging to conclude the election at a later date.